Recently corned beef has been added to the diet. It is processed in Brazil and is found to be more than acceptable. In usually ingested in a sandwich but there are many recipes on the internet. 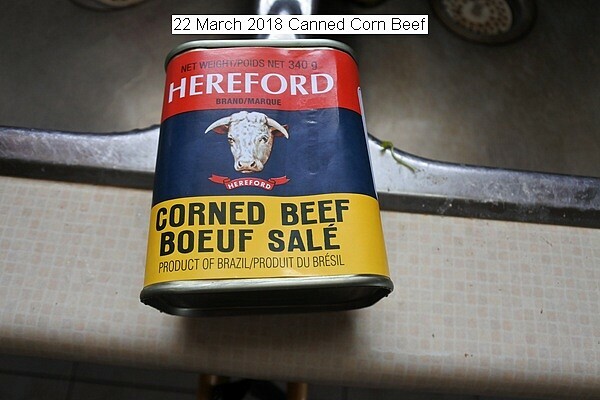 This entry was posted in Uncategorized and tagged 22 March 2018 Corned Beef, Canned Corn Beef. Bookmark the permalink.